My hero’s consist mostly of musical artists, my favorite being The Goo Goo Dolls. In the postcard is a picture of the sheet music that I got tattooed on my arm. In terms of “real-life” heroes, that would be my best friends. 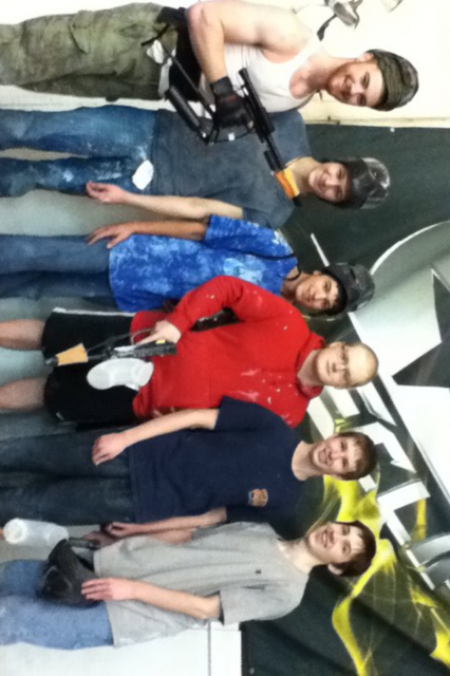 We go paintballing and play video games together all the time. In the picture, I’m wearing the navy blue shirt, second from the left.